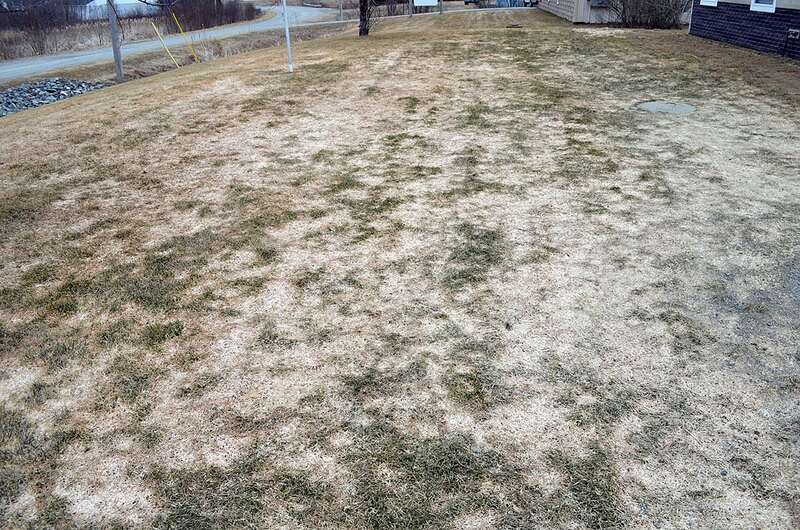 If you are wondering why your lawn may be looking like the following pictures, you may be experiencing snow mold. There are two types, Grey and Pink Snow molds. If you look closely, there are differences beyond the basic “Grey and pink color”. That’s for the professionals to know about. 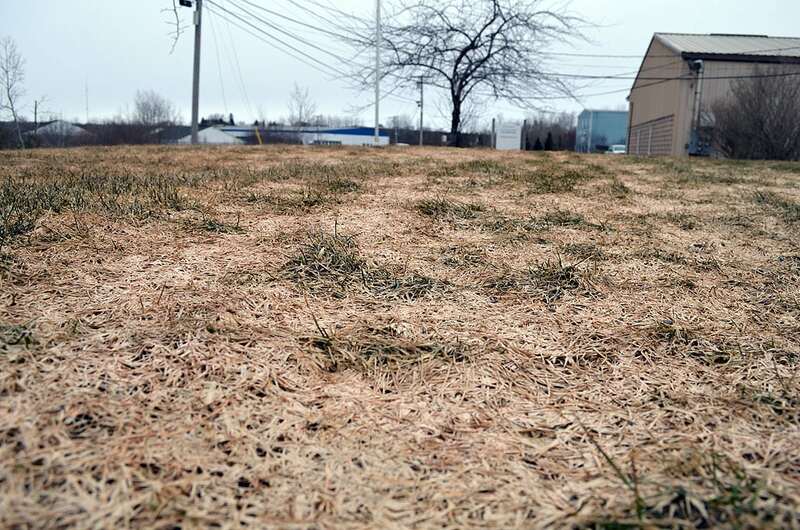 Snow mold damage looks like circular patches (3″-12″) of dead and matted grass. Depending on the severity of the outbreak, the circles can coalesce and become a large mass. It is not uncommon to find both gray and pink snow mold together. The best description we an come up with is the grass blades cake together and the color is bleached out of the dead blades of grass within the patches of mold. When it dries it is crusty to the touch (with variations depending up on what grass variety you have) and blocks sunlight from reaching the soil surface. The best control is cultural. Simply raking the grass and disrupting the “cakey” masses that form on the surface of the grass is the best approach. However, you need to do this as soon as possible. Before grass begins to turn green and new shoots begin to grow. A few words of caution. Don’t begin raking your lawn if it is still wet to the touch. You’ll want to wait until you get a few days of dry weather so that the masses of grass have an opportunity to dry out. Once that takes place, you’ll want to get out with a rake or a thatcher and remove the bleached looking areas of grass. The following photos were taken on March 22nd.